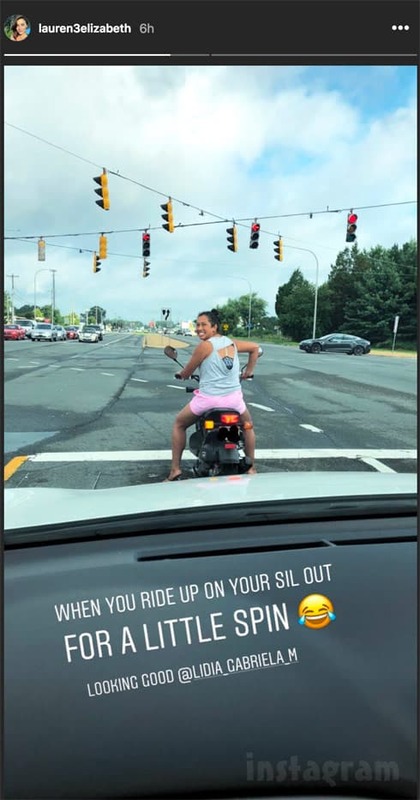 Teen Mom 2 star Briana DeJesus wasn’t ready to relocate to Delaware and settle down with co-star Javi Marroquin, so he has wasted no time getting the family he wanted from his rekindled romance with Lauren Comeau. Lauren is currently very pregnant with their little boy, and she posted a photo this week announcing that she and Javi have purchased a house! Lauren and Javi (and little Javi Jr. in the oven) can be seen on the steps of what I assume is the family’s new home in the photo (above) posted by Lauren on Facebook. “It’s closing day!! !” Lauren boasted in the caption. 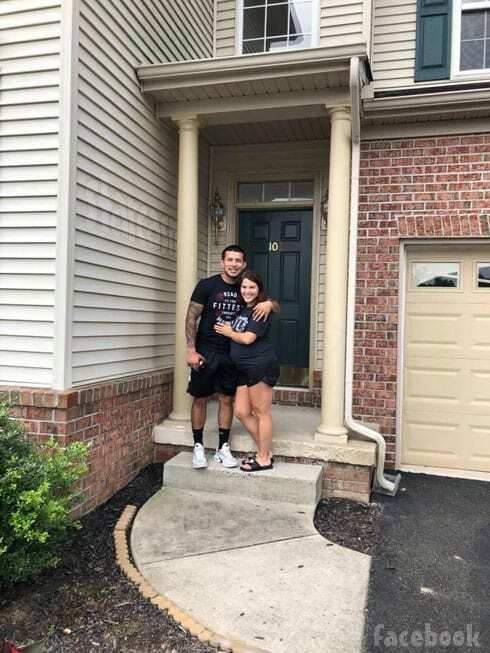 “Beyond excited (and thankful) to start this chapter in our new home,” she added. The photo appears to have since been deleted. If you’re curious just how the Javi and Lauren relationship timeline breaks down, it does appear as though Lauren may have gotten pregnant prior to Javi’s infamous scenes with Briana in Miami before and after her Dr. Miami surgery on February 1. Javi and Briana had a very public break up on January 16, with Javi stating that Briana’s decision to have another filmed surgery with Dr. Miami was the main reason. 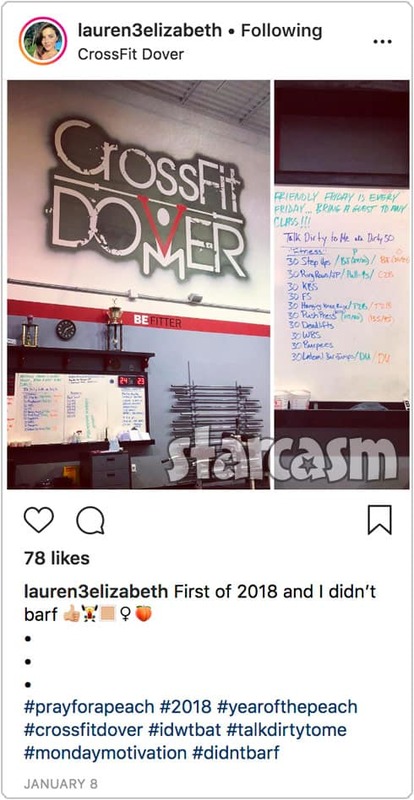 Could it be that Lauren got more than one workout while in Dover? (I won’t go so far as to joke about her caption referencing something else.) Lauren appeared to have made it back home to South Carolina on the 9th. JAVI: How can you keep being mad about — to me about this damn podcast? BRIANA: Because you didn’t tell me about it! That’s why I’m mad. JAVI: And that’s my mistake. BRIANA: So why are you bringing up the podcast again when you know why I’m truly upset about it. BRIANA: You just sound dumb. JAVI: …that obviously I switched my whole [BLEEP] around so I can come here, so I can take care of you when you need me. JAVI: I just feel like I’m doing a lot of fighting for whatever it is that’s left, and I’m not getting anything in return. JAVI: I have someone saying they will move to Dover for us to give it another shot. BRIANA: Good bye. F**k you. JAVI: What did I say? BRIANA: I’m done. You can leave. JAVI: No, sit down! This is my problem! BRIANA: [in the other room talking to her friend] Did you hear that? He has some girl willing to move to Dover right now for him, so he can leave if he wants to — to be over there. BRIANA: [beginning to tear up] How do you try to give me a ring and then…? What a piece of s**t. He really is a piece of s**t.
Javi definitely came across looking like a piece of s**t, but at least it appears as though he was telling the truth about having someone else willing to move to Dover! I hate to think what the situation would be currently if Briana had taken him back. At this point it is still unclear if Javi will be prominently featured on the next season of Teen Mom 2, but with Kail’s ex Jo and his wife Vee reportedly not returning, it does seem to leave the door wide open.